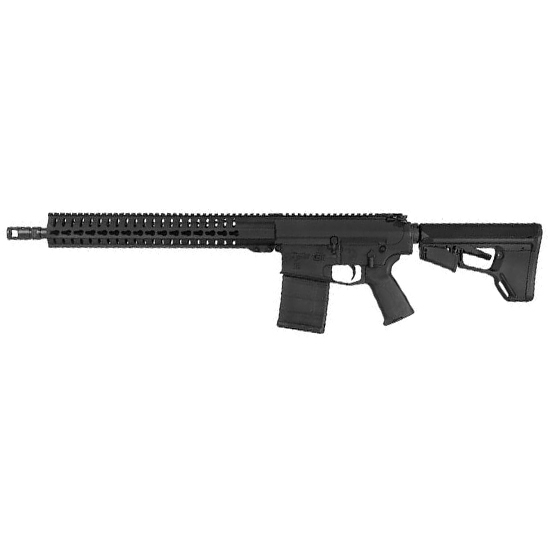 CMMG 38AEAF1 Mk3 CBR Semi-Automatic 308 Winchester|7.62 NATO 16 20+1 Magpul ACS Black Stk Black Nitride in. The Mk3 CBR is one of CMMGs premier rifles. The Mk3 CBR features a 16 nitrided 416 stainless steel medium taper profile barrel in 308 Win. It is equipped with a SV muzzle brake RKM15 KeyMod hand guard Geissele SSA 2Stage trigger Magpul MOE pistol grip and Magpul ACSL buttstock."